How Do I Move From Friendship to a Couple? How do you know the time is right to move from friendship to couple. Well, you can't know unless you try! 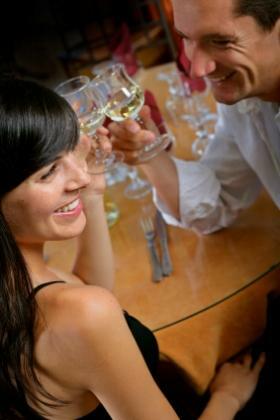 See what the dating coach has to say to these readers. Hi Lori, Hope you can help me here as I really need it. First let me tell you a bit about myself. I am 20 years old and a British Uni student. I have never had a girlfriend because I never really wanted one until I really loved the girl. Then, at the start of Uni I became friends with a group of four girls. At the very start of our friendship one of them (let's call her A) was very reserved and she did not seem to enjoy my company that much. The other three girls liked me and I thus stuck in the group. "A" has never told me that she does not like me that much but rather showed it to me. For example when we are taking a picture she would try not to be next to me. When I would see her facial expression it would be one of shock and nervousness. She would never like to hang with me alone and did not speak to me that much. This was how it was like for a few months but slowly she started to become friendly with me. She has only attended a girl's school for her teenage life which may be the reason. Now, this year her attitude towards me has completely changed. She has now become a lot friendlier -- she chats with me a lot more and this has truly improved our friendship. She has now shown her true colors to me and I think that she is a very caring and thoughtful person. Most guys who know her do not like her that much since she does not seem to be very friendly maybe because she does not trust them enough to be around them. I tend to go out clubbing a lot with these four girls. Whenever I go with them now "A" always gets into the pictures with me and sometimes makes a flirtatious pose in it. After a few days when the pictures are up on the social network she takes them from my site and uploads them into hers. Usually about 20-30% of the pictures which she takes have me included in them. Also after the night out she asks me to stay at the girls and she will turn the couch into a bed and make sure I am fine before she goes to bed. She also has started to show trust in me as one day when she drank a spiked drink she asked me to look after her. She did not let go of me at all and basically held on to my hand for a few hours until she became better. I took good care of her and she thanked me for it the next day. Now "A" also never says anything which she thinks may hurt my feelings. In this case one of the other three girls will tell me what it is and it is never that bad. I can tell from her face that she wants to say something to me but never says it. She flirts and teases me as well. Once I ended up in the hospital and she texted me asking if I was fine. She is also the girl who calls me to her flat the most out of the group of four, but I have only been out with her alone for meals out. Now I am not sure if she likes me now as a friend or she also has a crush on me, like I have on her. Do you think that good friends can become a couple or are they forever stuck in the "friendzone." When we are on our own we get along very, very well. So what do you think? I am mostly the only guys she likes to be around with. I am thinking of asking her to go out with me but I am a bit scared she will say that she see us as friends and then it MAY ruin our fantastic friendship. What do you think she will do? Thanks for the help. Recently I was watching this TV show with stories about couples who fell in love. One couple described how they had been "just friends" for 15 years. Neither of them had ever considered their relationship more than just friends. One day, after 15 years of being friends, they went out and at the end of the night, they kissed. They each described that moment as a big WOW! Watching them talk about the moment they fell in love, I could tell each wondered if they had kissed 15 years earlier would it have been like this. Friendship is the foundation of any good relationship, but not all friendships have a romantic chemistry. Your female friend has been flirting with you for a very long time. My guess is she was interested in you earlier, but was cautious about your intentions. I think you mistook her distrust for not liking you. This was probably a good thing; since it provided you time to prove yourself as sincere, trustworthy and caring, which over time put her at ease. Falling in love is one of the biggest risks you can take and it is one of the best risks to take! For you, the risk of seeing if your friendship can move from the "friendzone" to that of a couple is a chance worth taking. Just don't wait 15 years! Wow, just as you're about to tell this girl that you have feelings for her, she tells you that she going to be in a long distance romance with someone else. What are the chances of that timing just being a fluke? I would say little chance. This woman has decided that she will be in a relationship with someone who is physically unavailable. Therefore, I'm guessing that she is not interested in being in a relationship with a guy who is available (that guy being you). The timing for a relationship with this girl is not right. Not just for you, but for your friend who is in France as well. This isn't about you it's about her. Little comfort when your heart is involved, I know. However, if you can continue to see her for coffee and to hang out from time to time, it will give you the inside track as to when she'll be ready for romance. When she's ready, she'll be open to hearing about your feelings for her. Until then, if you should find it to difficult to meet with her, then you don't have to accept her invites to get together. My guess is that the gal from work was and has been sending you very strong signals that she's interested in you and is open to the relationship progressing. I think she is frustrated that you have not taken things to the next level… dating. As a result, she sometimes gets irritated with you, which is what you've picked up on 'other times it will seem as though she is not very enthused with talking to me.' This could be due to her misreading your lack of progress as not being that into her. When she feels insecure, she eggs you on and your response of attention makes her feel better. The other possibility is some days she just has a lot going on in her mind and withdrawals. In the future when you see her behave in a way that seems uncharacteristic, ask her about it. You can say, "You don't seem yourself today. You're quieter than usual is everything OK? Is there anything I can do?" Her response will give you information about what she is feeling.